Winner (thanks to a random number generator) is Annie Pink Shoes. Thanks for entering! 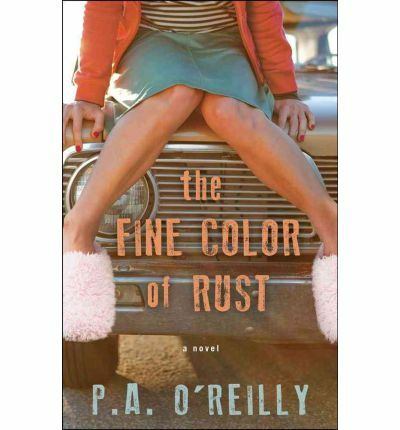 I have a copy of The Fine Colour of Rust by P.A O’Reilly to give away internationally. Why this book? Living expat in London I read a lot of Australian novels but this is one of the few that really made me miss Australia. It is funny and heart warming and better than your regular chick lit. Loretta Boskovic never dreamed she would end up a single mother with two kids in a dusty Australian country town. She never imagined she’d have to campaign to save the local primary school. She certainly had no idea her best friend would turn out to be the crusty old junk man. All in all, she’s starting to wonder if she took a wrong turn somewhere. If only she could drop the kids at the orphanage and start over . . .
You can read my review here. 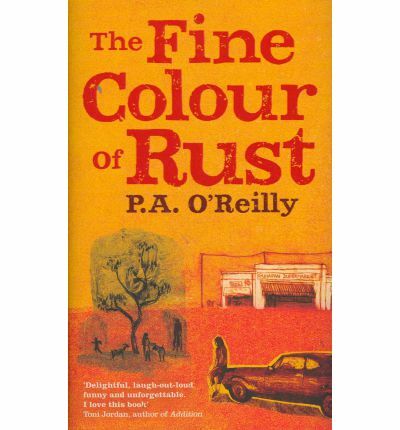 What I loved about this novel was how the author captured the essence of the Australian way of life – the heat, the dry landscape, and the importance of picking up coloured cardboard on the way home from school for a project. To win: leave a comment below saying what you would expect to see in a novel that would make you think it was quintessentially Australian. Entries close midnight AEDT on 27 January and the winner will be chosen randomly through a lucky dip! Thank you to Book’d Out for hosting this blog hop giveaway. Click here to join in the other giveaways. Koalas… Maybe some mentions of Vegemite too! Heat – there’s something about the relentlessness of it in summer that is quintessentially Australian to me. A sense of distance – pieces of hearts left in places far away. I would expect the setting to be almost like another character & for the people to be honest, hard working and down to earth. I would expect the characters to have a great sense of humour , often with a dry, wry wit. I would think that an Australian novel would be influenced by the unique landscape of Oz. A packet of tim tams that never runs out. An aussie story wouldn’t be complete without a few ‘I reckon’ in there, kids taking vegemite sandwiches to school and kids parties with fairy bread. Burnt bums from the slippery dip and beach stories. We have so many wonderful and unique things in Australia. Have a great Australia Day. Australian slang! That’s a must. Australian setting described well, dialogue that reflects Aussie speech. Some dusty, red dirt in hot, dry weather would whisk me right to the Australian outback. Thanks for the giveaway and Happy Australia Day! Ohh that’s such a great question. A myriad of things come to mind and yet it’s still so hard to choose one thing. Umm..
Loyalty. That’s what I’m going with. Whether it be loyalty to the mates around the character or person. Or the complicated and challenging landscape (surf or dirt), there’s just this enduring loyalty quality to Australians. Most of the time it means we just get on with the job at hand despite the heat or conditions, have a good laugh and a drink or two, but I think at the essence of everything there is this enduring loyalty quality that is unshakable despite the odds. A good old game of Australian Rules Football. Down to earth characters. Strong, sensitive men. Heat, lots of heat and fires. For me it’s the attitude that makes a book quintessentially Australian. I don’t know if it’s something I can quantify, but the last book I read that really had it was Clancy of the Undertow. A pavlova, dry heat and a character named Cheryl.